Popsicle® creates its first-ever comic book in partnership with Marvel Custom Solutions; partners with supermom Vanessa Lachey to encourage families to join the SuperHero fun! We love Popsicle and couldn't get through the Summer without our stocked freezer. ENGLEWOOD CLIFFS, N.J., June 4, 2015 /PRNewswire/ -- This summer, the Original Brand Popsicle® – having saved families from heat and boredom with bold flavors, fun shapes and its icy-cool refreshing taste since 1905 – will become a true SuperHero with its first-ever comic book. To help spread the SuperHero news and excitement, the Popsicle Brand has teamed up with actress, entrepreneur, and supermom of two, Vanessa Lachey. 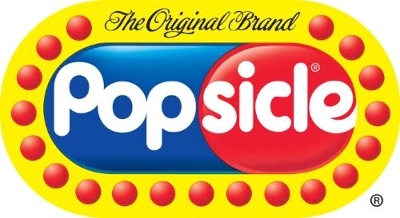 "I am thrilled to partner with the Popsicle Brand Team on their summer campaign," said Vanessa Lachey. "Popsicle pops are one of my family's favorite treats and SuperHeroes are huge in my house right now." Popsicle, in partnership with SuperHero expert Marvel Custom Solutions, a division of Marvel Entertainment, will release its first-ever SuperHero comic book available in select Marvel retail stores and on www.Popsicle.com. Popsicle will release a series of nine digital comics on Popsicle.com on the first "official" day of summer, June 21. Families can also pick up their own limited-edition hard copy comic book, featuring all nine comics, at select Marvel retail stores beginning in July. The comic series details the heroic escapades of Popsicle characters Mandy, Pete and Ace, who were sent to save the summer. In addition to the comic book release, Popsicle invites families nationwide to visit its new SuperHero hub, "Deep Freeze 9," on Popsicle.com. 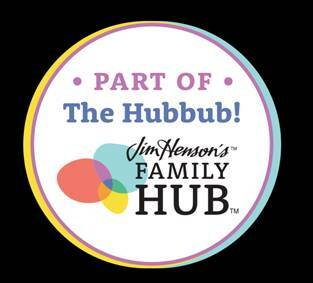 The hub provides SuperHero-themed family activities including a "Mission Control" that will house the comics and an action-packed trailer; the "Flavor Force Lab," providing parents and kids with comic-inspired crafts; and, the option to sign up for an ongoing e-newsletter and be among the first to access the official digital comics. "From being the staple of the neighborhood summer barbeque, to mom's go-to afternoon treat for her kids, the iconic Popsicle ice pop has long been the original SuperHero of the summer," said Nick Soukas, brand building director, U.S. Unilever Ice Cream. "As makers of the Original Brand Popsicle, we are excited to be part of the SuperHero fun and extend the opportunity to families all summer long with our first-ever Popsicle Brand comic book and new online hub, 'Deep Freeze 9.'" "When the Marvel Custom Solutions team met with the Popsicle marketing team for cool ideas for 2015, we wanted to come up with a program that would set Popsicle apart from other brands in the category," said Jonathan Rheingold, V.P. of Marvel Custom Solutions. · Popsicle Tootsie Pops® come in classic Orange, Cherry, and Grape shells with a chewy, chocolatey center. · Popsicle Mystery Middles feature a cherry berry shell with three white mystery centers: Lemonade Blast, Wacky Watermelon and Bursting Bubble Gum. · Popsicle Frozen, inspired by the blockbuster Disney movie, includes delicious flavors such as White Cherry, Purple Berry and Blue Raspberry. The SuperHero fun also extends in-store with the Popsicle Marvel Avengers Assemble™ pops, featuring Captain America™, Hulk™ and Iron Man™. These pops come in delicious fruity flavors including strawberry, kiwi-green apple, grape, kiwi-cherry, lemon and blue raspberry. To learn even more about the Popsicle "Original SuperHero of Summer" comic series, families can like the Popsicle Facebook fan page at Facebook.com/Popsicle and can follow Popsicle on Twitter at Twitter.com/Popsicle. Unilever’s Sustainable Living Plan (USLP) aims to double the size of its business, while reducing its overall environmental footprint and increasing positive social impact. The USLP is Unilever’s strategic response to the challenges businesses face operating in an uncertain and volatile world. See more on the Unilever Sustainable Living Plan at http://www.unileverusa.com/sustainable-living/. Unilever ranked number one in its sector on the 2014 Dow Jones Sustainability Index. All of Unilever’s global factory network, as well as its US non-manufacturing facilities and dedicated distribution centers, have achieved zero non-hazardous waste to landfill status. Marvel Entertainment, LLC, a wholly-owned subsidiary of The Walt Disney Company, is one of the world’s most prominent character-based entertainment companies, built on a proven library of more than 8,000 characters featured in a variety of media over seventy-years. Marvel utilizes its character franchises in entertainment, licensing and publishing. For more information, visit marvel.com.